Solana Beach became an incorporated city of San Diego County in southern California in 1986. Today, more than 13,000 people populate the area spanning just over three square miles. Residents are encouraged to learn the history of the city while seeing beautiful homes at La Colonia de Eden Gardens, a historic neighborhood, and one of the oldest, in Solana Beach. Residents with school-aged children can enroll their kiddos in places like Solana Vista Elementary, Earl Warren Middle, and Canyon Crest Academy. This seaside city offers recreation at numerous places including the beautiful and popular Fletcher Cove Park, Tide Beach Park, and Seascape Surf Park. One of the substantial perks in Solana Beach is the over one mile of the shore where families and loved ones can swim, surf, and make life-lasting memories together every day. Homeowners can even catch a show at the live music venue, Belly Up. Solana Beach real estate in southern California presents homebuyers with ample opportunities for finding gorgeous coastal homes. Solana Beach houses for sale boast open layouts and floor plans made up of between 1,000-3,000 square feet and as many as five bedrooms. Waterfront homes in Solana Beach are discoverable with modern amenities, wide windows allowing in natural sunlight, and attached garages. 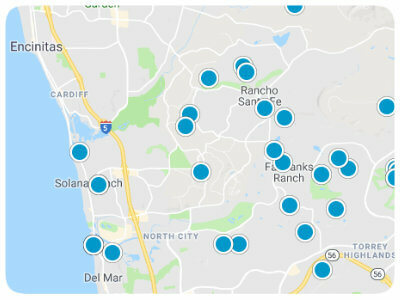 Real estate in Solana Beach lets homeowners feel like they reside in a private oasis, near enough larger cities to commute while being far enough removed to listen to the waves. 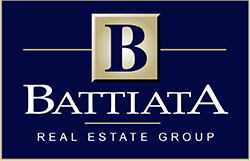 If you are interested in buying a condo or house for sale in Solana Beach, California, please contact us today.